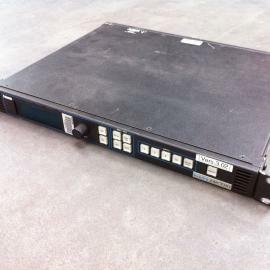 AG-MX70 8-Input Professional Digital A/V Mixer with case. • Compact unit with a 2-BUS, 8-input video switcher, high-performance, multi-functional digital video effects unit and versatile audio mixer. • An easy-to-operate joystick allows users to position and size effects as well as select and adjust colors. • Large LCD control panel for easy operation and monitoring of system status.